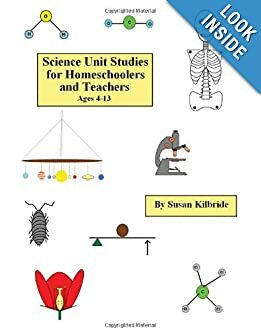 If you are a homeschooler or teacher who is looking for fun ideas on how to teach science, then this book is for you! Its hands-on approach is designed to capture students’ interest and promote a love of science and learning. Our daily lives are teeming with opportunities for learning. If you look at your life closely, you will realize there are a myriad of teachable moments each day. I became fascinated with notebooking a few months ago. According to what I read from the internet, it was kind of like scrapbooking. By Dana Sorrell. Instead of lectures and textbooks, this format enables a child to become an active part of whatever topic is being studied. Children make, do, act, chant, build and live the material that they could not learn by reading. The great advantages of unit studies are that they can be tied into a child’s interest and that the entire family can learn about a subject together. By Kandi Chong. Lapbooking can be done by any learner– from preschoolers to adults. With this learning technique, you make mini-books covering details that you’ve studied. After making a variety of mini-books about a larger topic, all the books are put together in a large folder. The finished product is called a lapbook. By Jimmie, a homeschool mom. Unit studies take advantage of a child’s natural curiosity. By Jane Boswell. Unit studies, sometimes called thematic units or integrated studies, are very popular with homeschoolers. Unit studies usually use a hands-on approach for effective learning. by Robin Sampson. Unit studies or thematic units take a topic and “lives” with it for a period of time, integrating science, social studies, language arts, math and fine arts as they apply. What Is a Unit Study? Pick a Topic, Any Topic! The term “unit studies” is an especially slippery fish of a term, because it can mean so many things. It may refer to a relaxed, interest led frolic through a subject or a traditional approach, using packaged unit studies.